It had been many years since I’d done much hiking. As a kid, my family would go camping every summer in such faraway places like Connecticut (I grew up in Rhode Island). During the day we would sometimes take short walks in the forest to find old wolf dens, look for animals, splash in the water, and get our feet dirty. They weren’t serious hikes. Nothing was strenuous and we certainly didn’t pack the ten essentials. We learned to look for colored blazes on trees that marked the way and that was about it. But when I had the opportunity to join a friend on this hike in May I gladly took him up on it. The hike was short but beautiful, and had classic New England scenery. We took one small backpack between the two of us and I made sure I carried it for my fair share of the time. When offered a hand up to scramble over some boulders, I flatly refused, saying I can take care of myself. Although I didn’t feel particularly adept or athletic I had an innate need to be self-sufficient. What kind of modern lady needs a man’s help? I took 6 pictures on this hike. Six. Today, in 2017, that is unheard of. Most people take 6 pictures by the end of breakfast and have updated social media at least as many times by then. These were different times. When we could have conversations, enjoy the moment, and take in the scenery. How times have changed in just a dozen years. 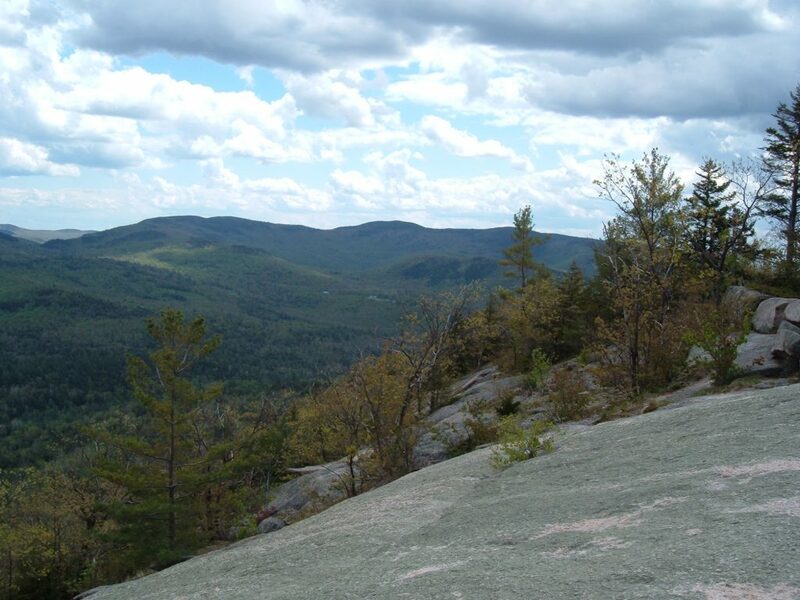 This entry was posted in General, New England and tagged hike366 on May 28, 2005 by Jess B.